You don’t have to get a whole new pool just to add a Jacuzzi or spa. 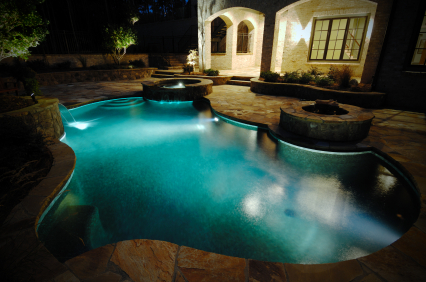 We can use your existing pool to add a spa inside or outside of the pool. We’ve added spas to 100’s of different pools over the years. We can surely design a spa addition that will greatly enhance the beauty of your pool area and add the wonderful feature of a new spa too. Adding levels to your pool is a great way to beautify and dramatize your existing pool area. We’ve amazed lots of customers with our work by adding levels. 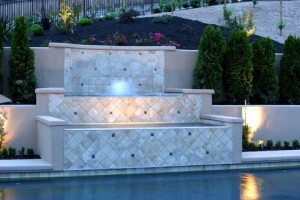 The levels allow us to also add other features to your pool’s deck area. 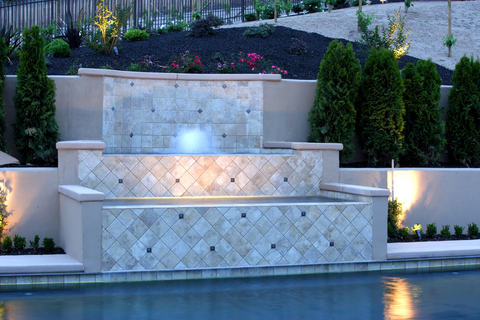 Adding a water feature to your pool is a great way to add function and drama to your pool area. Today, waterslides are very popular. We’ve added water slides to all kinds of pools over the years. Everyone loves the beauty of a waterfall. It makes your pool more popular and fun for parties and get-togethers. Your pool is used more often too. Additionally, firepits, fountains, and waterfalls go a long way to set a wonderful mood for your backyard pool area. With just a few improvements to your pool area, you’ll enjoy your back yard much more! Raising the walls around your pool can add seating functionality and create a more beautiful pool area. We’ve helped 100’s of Southern California homeowners improve their pool area with hardscape improvements over the years. Skinner Swim Pool Plastering specializes in swimming pool plastering, tile resurfacing, custom pool and spa remodels, exposed pebble, hydrazzo and color pools. © Copyright 2009-2019 Skinner Pools All Rights Reserved.